MrCrowley | 2008-11-26 - 2008-11-27, kicked due to multiclaning. Iliera | 2008-11-15 - 2009-02-01, left to join [T3]. Zweq | 2008-11-16 - 2009-02-01, left to join [Sn]. Pac'IT | 2009-02-09 - 2009-03-01, kicked due to inactivity. BloodCore | 2009-02-27 - 2009-03-08, kicked due to inactivity. Fr33kill | 2009-01-03 - 2009-03-12, kicked due to bad attitude. Erwan | 2009-01-25 - 2009-03-12, kicked due to bad attitude. Thing | 2008-11-16 - 2009-04-03, stayed until the clan died. Maxxa | 2008-11-24 - 2009-04-03, stayed until the clan died. Kuchiki | 2009-01-01 - 2009-04-03, stayed until the clan died. 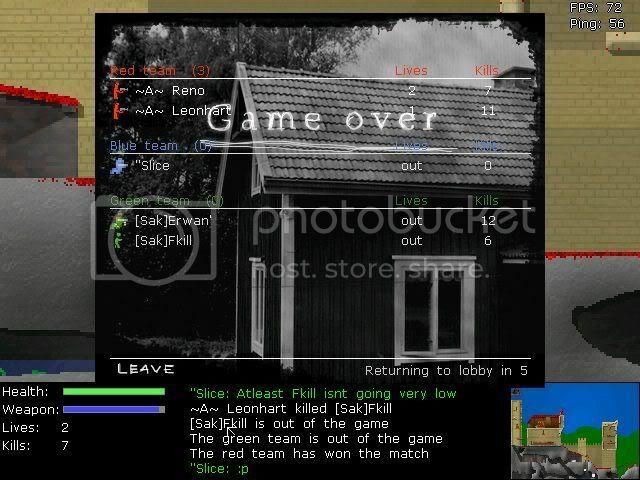 T-Bag | 2009-02-05 - 2009-04-03, stayed until the clan died. Poomah | 2009-02-09 - 2009-04-03, stayed until the clan died. Slice | 2009-03-06 - 2009-04-03, stayed until the clan died. 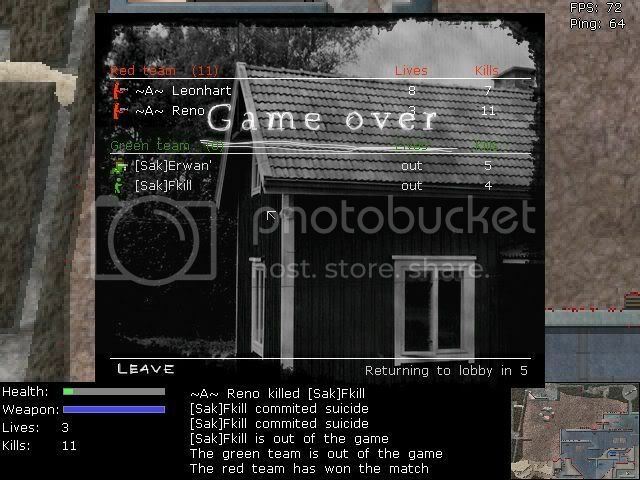 Sentry | 2009-03-28 - 2009-04-03, stayed until the clan died. 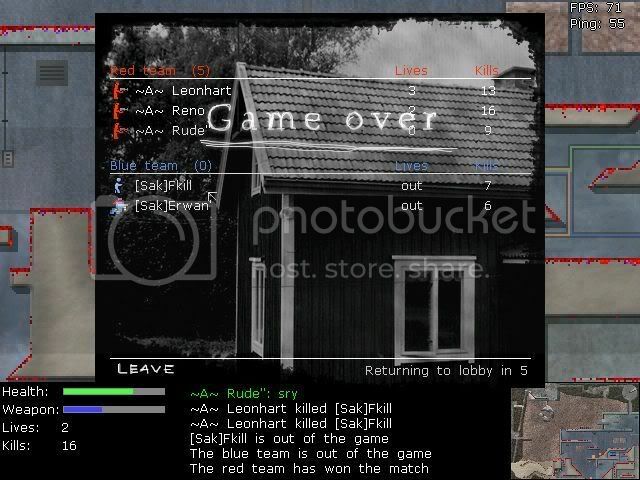 Vidar | 2009-04-01 - 2009-04-03, stayed until the clan died. JeR | 2011-06-11 - 2011-06-12, kicked due to disloyalty. 2008-07-10: Sakmongkol leaves |LaG| as it is falling apart and gives birth to [Sak]. Later the same day he recruits Vegezz. 2008-07-13: Vegezz is kicked out of the clan due to his bad attitude. 2008-08-01: [Sak] dies as Sakmongkol joins [Vou]. 2008-11-15: Sakmongkol recruits Nack (under the name of Zeus) and Iliera. Nack takes the clan over and kicks Sakmongkol out. Sakmongkol and Iliera take over [aR] in return. After a couple of hours Nack apologizes for his actions, Sakmongkol returns the leadership of [aR] to Nack and returns to [Sak] with Iliera. 2008-11-16: Thing and Zweq are recruited. Clanthread posted on LXA. 2008-11-27: MrCrowley is kicked due to multiclaning. 2009-01-09: ~Glad!ator~ is taken as a slave. 2009-02-01: Iliera leaves [Sak] to join [T3]. 2009-02-01: Zweq leaves [Sak] to join [Sn]. 2009-02-04: Thing is promoted to a co-leader. 2009-03-01: Pac'IT is kicked due to inactivity. 2009-03-08: BloodCore is kicked due to inactivity. 2009-03-12: Fr33kill and Erwan are kicked due to their bad attitude. 2009-03-28: Sentry is taken as a slave. 2009-03-30: Sentry is promoted to a full member. 2009-04-03: [Sak] dies a second time as Sakmongkol joins [OwZ]. -Only the leader can recruit. -Only one clanwar with each clan and with the same participants per day (not to be followed too strictly). -Clanwars must be played with at least two (2) participants from both clans. -Sakmongkol's presence in clanwars is advisable, but not necessary if the clanwar can be carried out in a sensible way without him. -Clanwars are always best out of three (3) rounds. -Clanwars are advised to be played with a maximum of seven (7) lives, though five (5) is good too. Ten (10) is right out, unless agreed otherwise. -Both clans can pick one (1) setting of their own, however they must be in the Mods and Levels played lists (see above), unless agreed otherwise. -The third (3rd) round, if any, must be Classic (Liero v1.0 ~100 lt, limited weapons) in Liero Factory (Maintenance) or Liero Factory (Revisited), unless agreed otherwise. 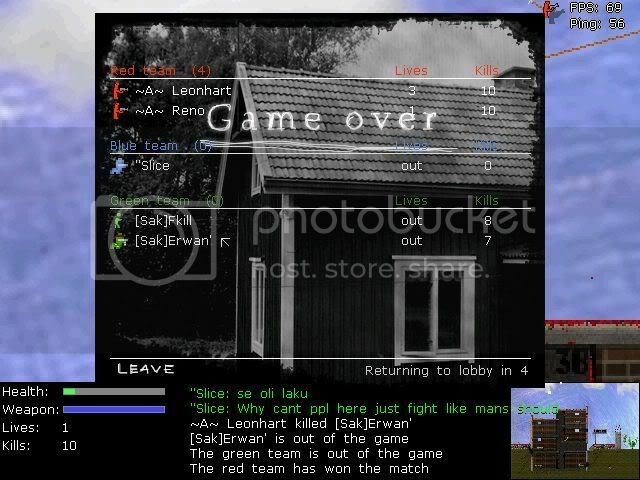 -Screenshots are recommended to be taken of every clanwar round, but they are not necessary. -Violation or ignoration of these rules from either participating clan's side can lead to the clanwar being considered invalid. may i ask what the name means? And i think you know that you can modify the first post. I will propably take the lead when some more good player joined. Good luck Sak, hope to see you guys around. I did some tweaking in the first post (hope I got the country flags right, otherwise correct me =(). Also added a brief history of the clan! Im sure you meant to write "especially including Lamda Bunker", right?